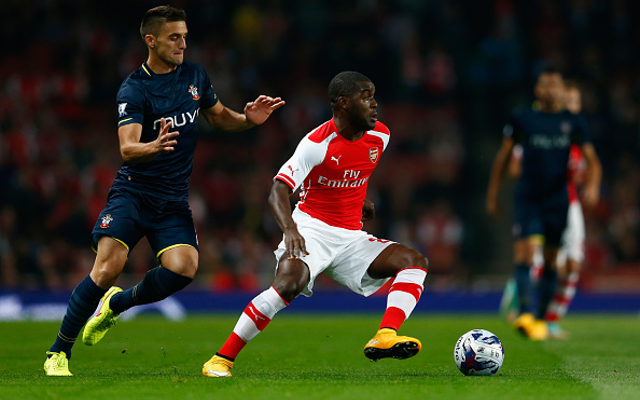 Arsenal forward Joel Campbell is the centre of interest for a host of teams from Italy and Greece according to Sentragoal, a Greek publication. The Costa Rica international was a star of the World Cup, helping the small nation to their best ever finish in the quarter finals of the tournament. However, since returning to the Gunners he has struggled to get game time and now looks like he could be on the way out of the club. Olympiacos are very keen to take the 22-year-old again, after his successful loan period at the side in the last campaign. He scored eight goals in thirty two appearances for the Mediterranean team. Meanwhile, Benfica and several clubs from Serie A are also supposed to be chasing the youngster. Arsene Wenger looks likely to let Campbell leave the North London club without much of a fight, as he is rarely seen in the starting Xi or even from the bench. The only thing that is to be decided is where the forward goes to, and with this many teams chasing him it could be a while before that is decided.